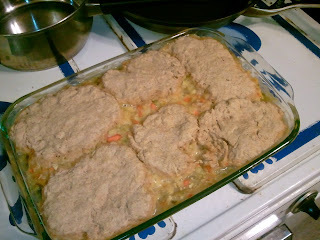 I'm almost certain that this is my husband's favorite homemade food. Back when we weren't even technically living together, he asked if I could make up a chicken pot pie recipe. So I did, and now he loves me. I've tweaked it a little over time, but not much. At least not for him. He likes his comfort foods the same every time. This takes up to an hour to put together, but with practice the prep time goes down to about 30 minutes. It'll take about another hour to cook. So this is really best for a weekend dinner or to impress friends and family. There's a lot you can do with it, and I'm not going to get too involved with my descriptions. But I'll show you how I make it most of the time. 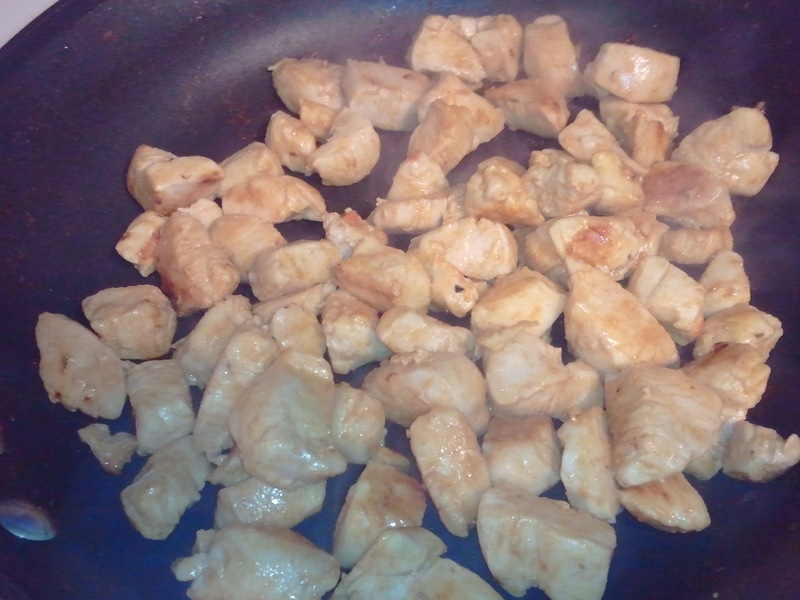 If you make a whole 9x13 pan of this, you'll get a solid eight meals out of it. Usually I'll make myself a 9x9 and get five or six lunches and dinners. It's very filling in a good way. 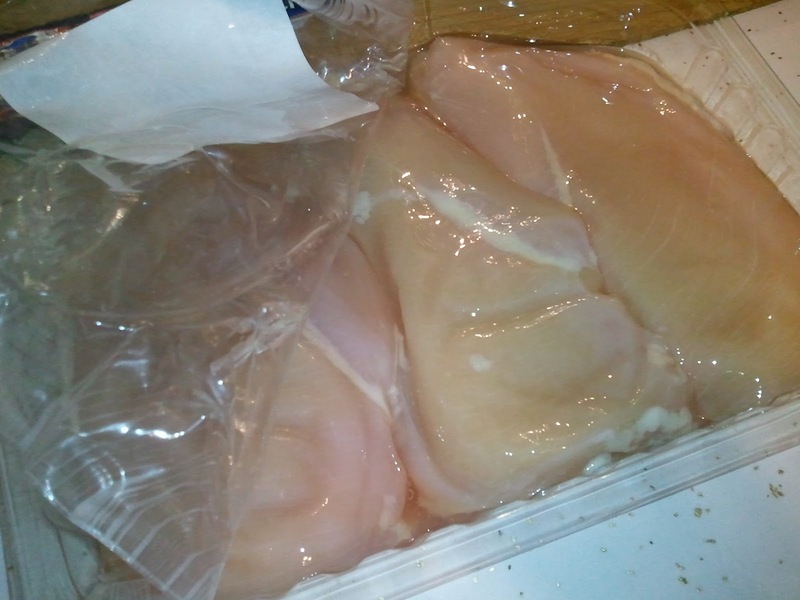 If you can afford it, organic chicken tastes much better. Target sells it at a more reasonable price than Whole Foods, but I can't find it at all near my house. 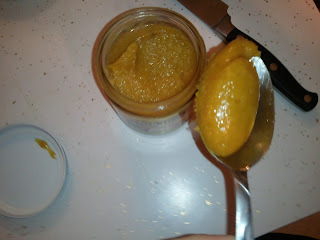 We picked some up recently, and I love my hubby so much I cut it up for him. This is probably the first time in more than a year I've had to deal with animal bits under my fingernails. Ew. Cut it up in whatever-size pieces you like. I'd stick with under an inch cubed. Fry it up in a skillet with a little olive oil and generous seasoning salt. 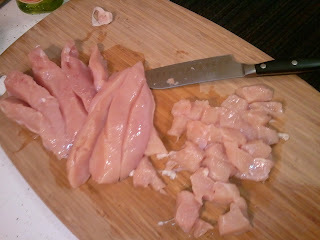 I hate to say this, but you could probably use canned chicken if you need a weeknight shortcut. I leave the chicken out of mine, obviously. 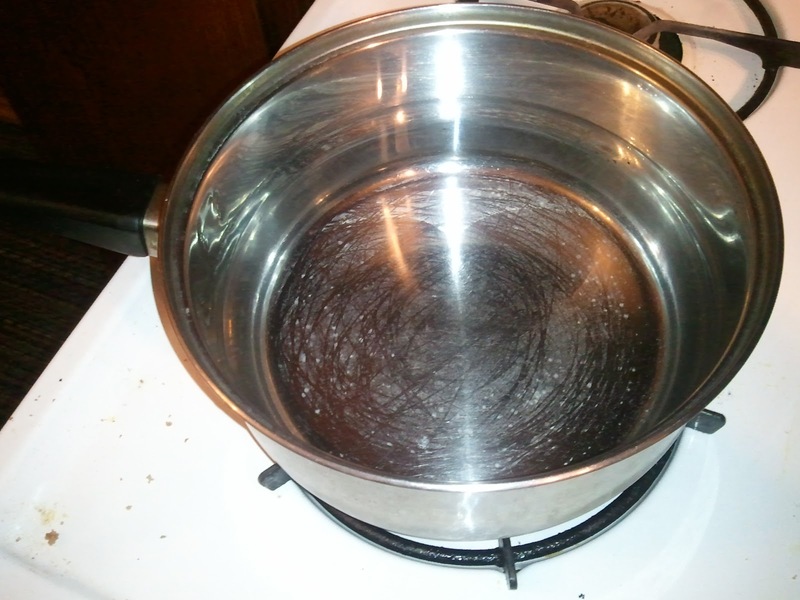 Meanwhile, bring a medium pot of water to boil. You're going to use the water to make your own gravy. If you have bouillon cubes, use those. If not, go by this brand! They also make a beef, which is good for beef gravy for shepherd's pie. I buy the vegetable version and make veggie broth and gravy for myself. Cut up any veggies you have on hand. This is a couple carrots and a couple stalks of celery. I'd have included broccoli, but I'd used it all in my vegan dinner earlier that night. Put your bouillon or equivalent in the water to boil and make broth. 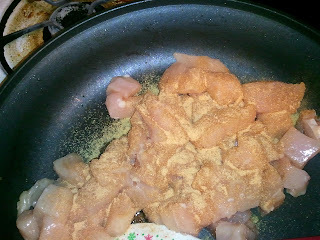 Cook the chicken until it's a little browned and all done. Put the chicken, chopped veggies and any other canned or frozen veggies in a 9x13 pan. This time, I used a can of unsalted corn and a can of unsalted peas. 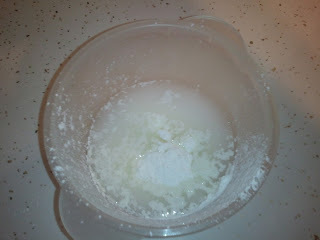 Mix some corn starch or flour with a little water. 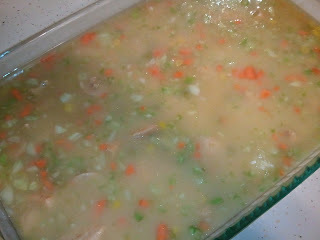 Add that to the broth to thicken, then add that gravy to your veggies and meat. I'd recommend making the gravy on the thick side. Sometimes I fail at that, like here. I also tried to take some out because I'd used too much gravy. It turned out fine in the end, though. You could use canned or powdered gravy mix if you'd prefer. Cook what's above for about half an hour at 350ish degrees. The big thing here is to soften any uncooked veggies. While that's cooking, make your own biscuits. Or buy canned biscuits and flatten them. I'm not a fan of Bisquik or canned biscuits, so I make mine. They're easy and delicious! Then keep baking until the biscuits are all done! This is even more delicious than it looks. Gooey gravy! Veggies! Happiness! Exclamation points abound! 1. Cut and fry chicken. 2. 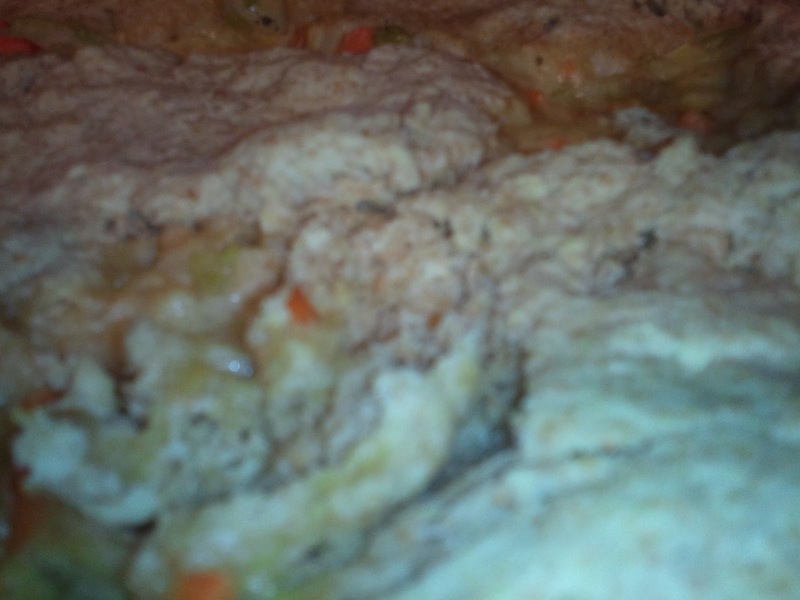 Make gravy from broth and flour. 3. 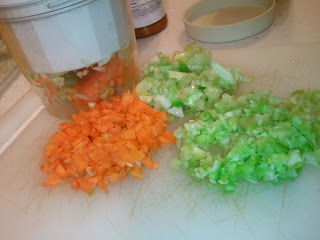 Cut up fresh veggies, open cans/bags of others. 4. 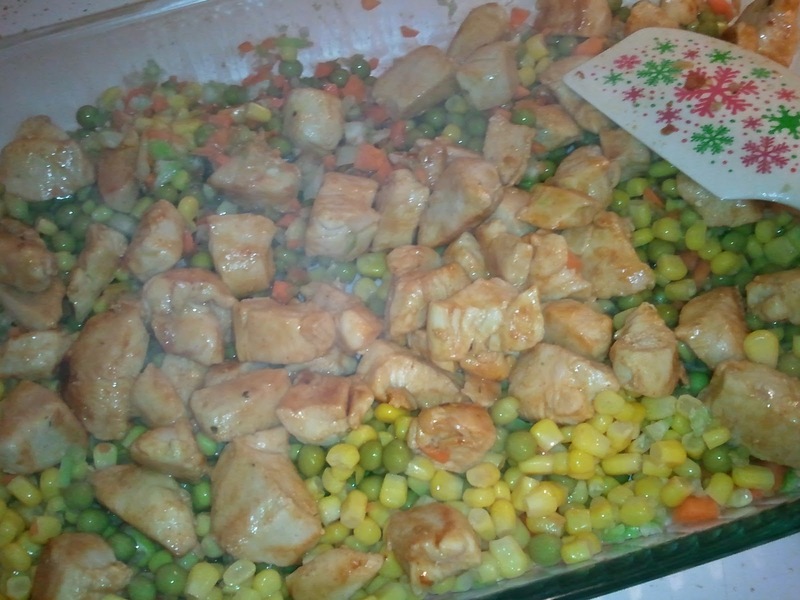 Put chicken, veggies and gravy in a 9x13 pan. 5. 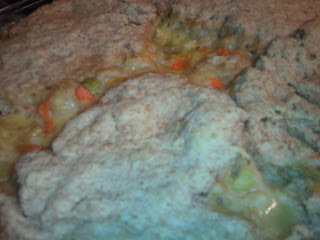 Bake about 30 minutes at 350 degrees, or until veggies are softened. 6. 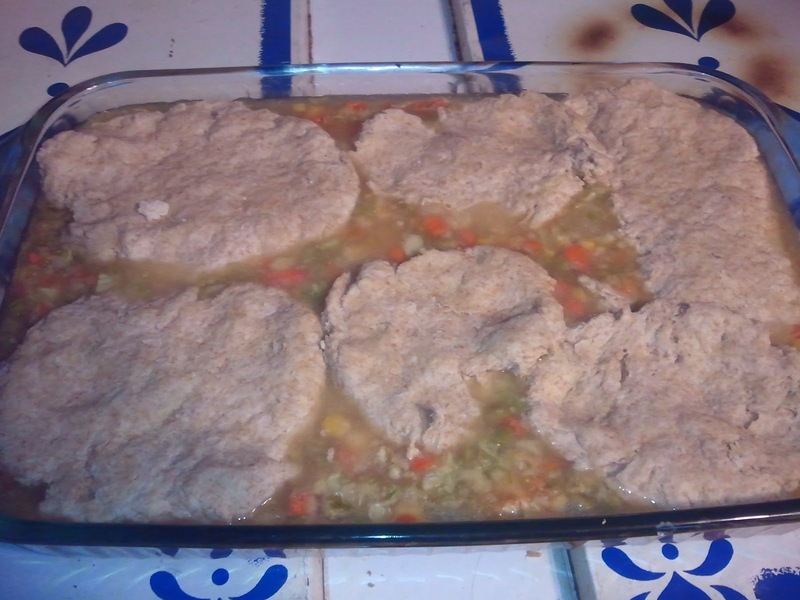 Put biscuits softly on top. 7. Bake about another 15 minutes until biscuits are cooked through. 3. 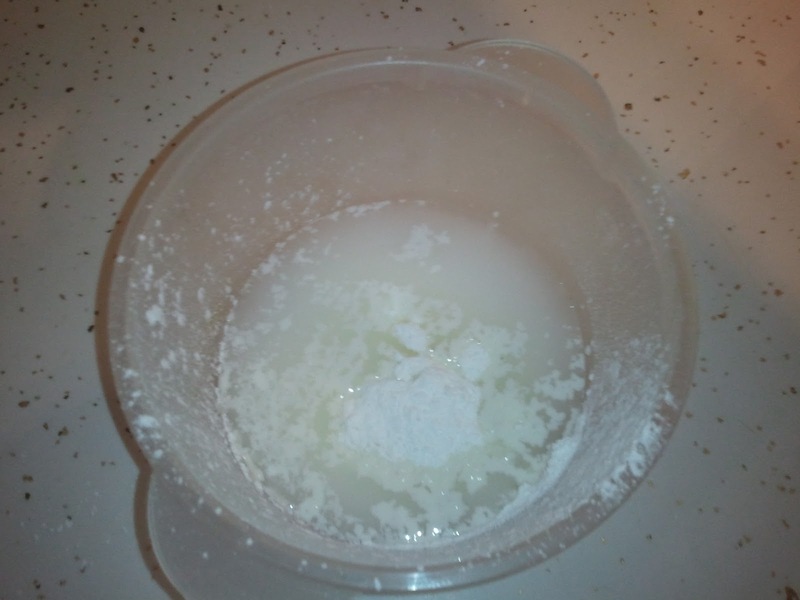 Add milk and flatten as desired. 4. Bake at 350 degrees until cooked through, about 15 minutes. 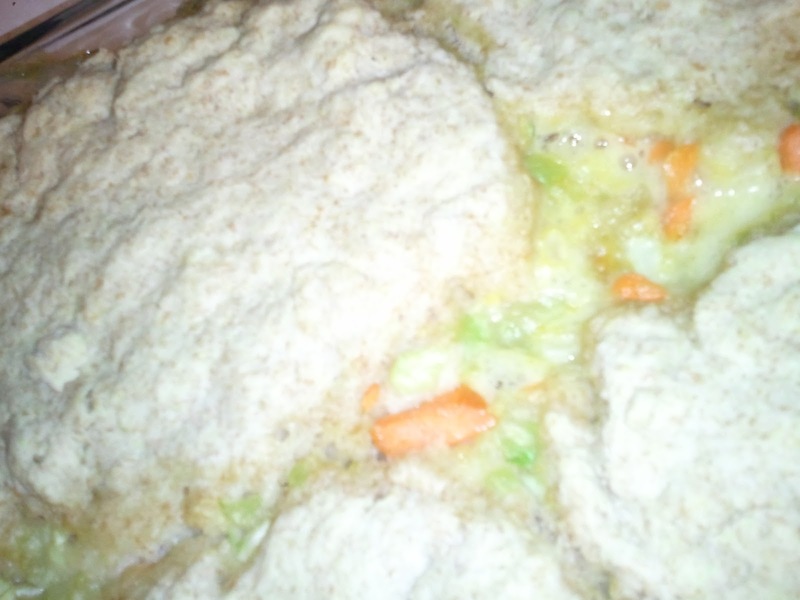 I love pot pie!! We've been using Quorn as a substitute for chicken in pot pies (it's on the pricey side, but it works so well) as well as some mushrooms. 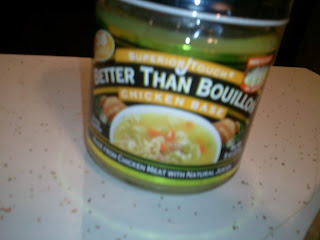 Also, Kroger has a "Not Chicken" veggie bullion that I sometimes use to make Chickpea Noodle Soup. I may now have enough motivation to make one tonight!